Can HBO use copyright to remove Game of Thrones spoiler videos? A very interesting case has been developing this week to highlight several issues surrounding the DMCA take-down procedure, and the protection of copyright story elements such as plot, story and dialogue. The case involves the YouTube channel of Spanish geek vlogger Frikidoctor, which seems to specialise in Game of Thrones book and series discussion and predictions. The channel includes a series of vital plot twists for the 6th season, that were so accurate that it was suspected that the channel had access to leaked videos. 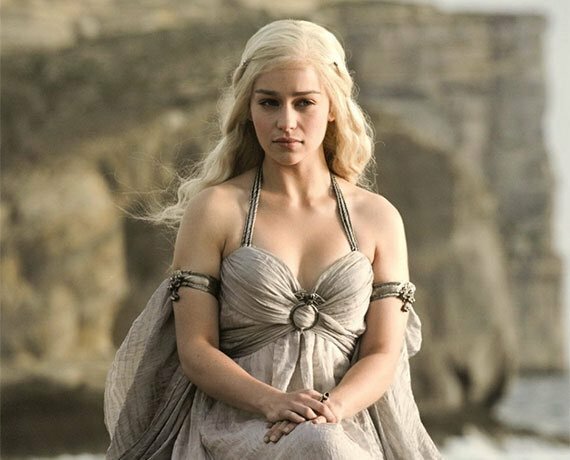 HBO sent a series of DMCA requests to take down some of the videos containing spoilers based on what some call a dubious copyright claim. I have actually seen some of the videos in question. Some of the earliest videos are filled with predictions that were not very accurate or generally having some hits and misses (such as this one). It has to be said that some of the videos were not particularly revelatory, but this changed when Frikidoctor started making much more detailed videos spoiling the episodes with extremely accurate details, including a complete scene and dialogue breakdown. This video is completely accurate, it includes actual dialogue and contains a blow-by-blow telling of everything of importance that happens in that episode. This goes beyond speculation, it pretty much spoils the entire episode before it airs, and it is obvious that Frikidoctor had seen the episode in question in advance. This is a fascinating story for various reasons, not least because it involves Game of Thrones spoilers, undoubtedly one of the most click-bait friendly subjects in the world at the moment. There are various separate legal questions here, which I will try to dissect one by one. Is Frikidoctor infringing copyright with his spoiler videos? Complete opening scene, including almost all of the dialogue between Jon Snow, Melisandre, and Ser Davos. Key dialogue between Jon Snow and Tormund. Scene with dialogue between Sam and Gilly. Detailed description of the Tower of Joy sequence (also including most dialogue). This is probably one of the most important reveals in the entire series. Qyburn and the little birds. Detailed description of Arya’s scenes. Big key scene in Winterfell. This is just a small sample, the video tells the full episode in detail, with almost word by word lines of the dialogue. This is borderline copyright infringement in my opinion. Copyright certainly protects plot, dialogue and everything else. But for me the most important copyright element is that this is released BEFORE the episode airs. If this was released after, this would just be commentary, even if it included dialogue. But one of the exclusive rights of the author is to choose when to release the work to the public, and Freakidoctor might be infringing that important exclusive right. However, this is just my reading of the situation, and I am perfectly aware that this could very well be a borderline copyright situation, but having seen the videos my gut feeling is that they are possibly infringing copyright. After all, it would be possible to know practically everything that takes place in the episode ahead of time. Perhaps some of the most interesting aspect of the case is that it highlights just how powerful the DMCA take-down system has become. That a copyright owner in the USA can use this tool to remove content published by a Spanish vlogger is nothing short of remarkable. Although I find that HBO may have a copyright case here, the use of the DMCA system appears to be heavy handed. I don’t think that HBO will bother removing the video once the episode has aired. As I mentioned, this is more akin to commentary than anything else. But it will be interesting to see what happens in the next few days. So far there is no other “prediction” video for the upcoming episode to be aired next Sunday, but if there is another one we could see another DMCA take down notice to remove it before Sunday. We could then enter a game of DMCA whack-a-mole each week. I find it extremely unlikely that HBO would sue Frikidoctor for copyright infringement, but you never know, at the moment we will witness another case of possible DMCA over-reach. Thanks for the article. I have two comments. First I am surprised that you are surprised that the DMCA Take down procedure was used. A DMCA notice has become, in the absence of a defined format for eCommerce Directive mandated takedowns, the de facto industry notification system, and in any case YouTube is an American company, with I believe even its servers serving Spain based in the USA. On that basis the DMCA notice is the appropriate tool to use. That of course is not to say whether or not HBO has a valid claim. And secondly, based on the reported comment of Frickidoctor, the article implies that it is YouTube which made the decision about the merits of the DMCA notice. As I know you know, it doesn’t work like this. If Frickidoctor issued a counter notice, YouTube would be required to send this on to the complainant (HBO in this case) and if after 14 days the complainant hasn’t filed a suit against Frickidoctor, YouTube can safely put back the disputed video without incurring any liability. So it would seem that HBO presumably did not file a suit. The only other explanation I can think of is that the original notice was defective is some way – it didn’t contain a good faith statement or some other mandatory ingredient – and so YouTube could reject it. However this seems unlikely to be the answer, firstly because HBO is unlikely to have made that sort of error, and secondly because it appears the video was taken down, then restored; in other words the notice was not initially rejected.